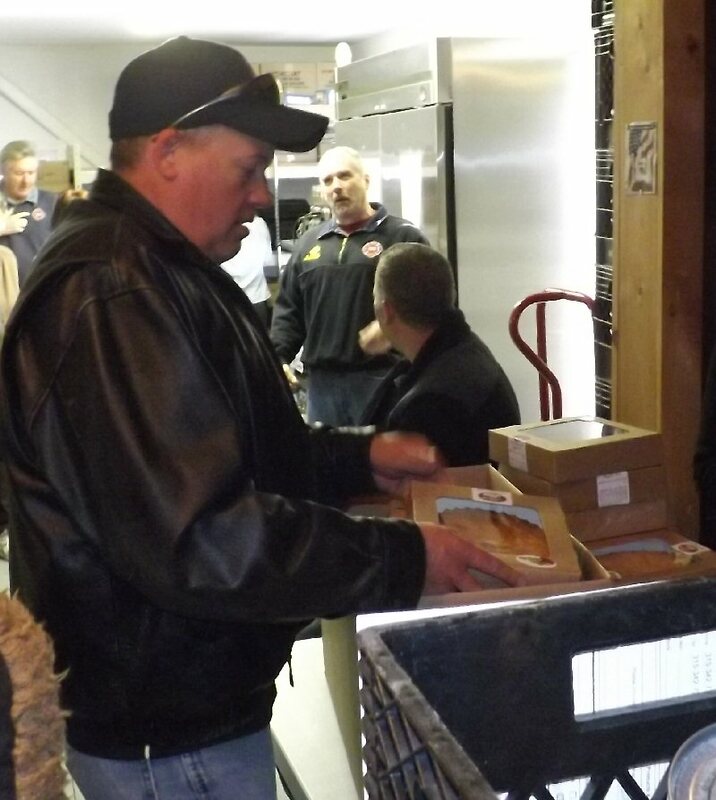 OSWEGO, NY – Oswego firefighters continued their annual tradition of assisting the Human Concerns Center on East Fourth Street to help those less fortunate at Thanksgiving. 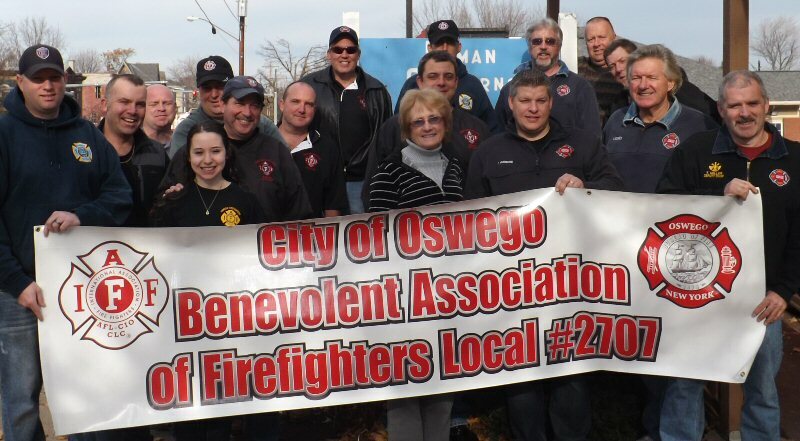 Several firefighters pose outside the Human Concerns Center in Oswego Tuesday with director Deb Deeb (center). They volunteered to assist with the Thanksgiving food basket program. On Tuesday, they helped provide a holiday meal basket for more than 240 area families. Nearly two dozen off duty firefighters were joined by many of their retired brothers Tuesday. 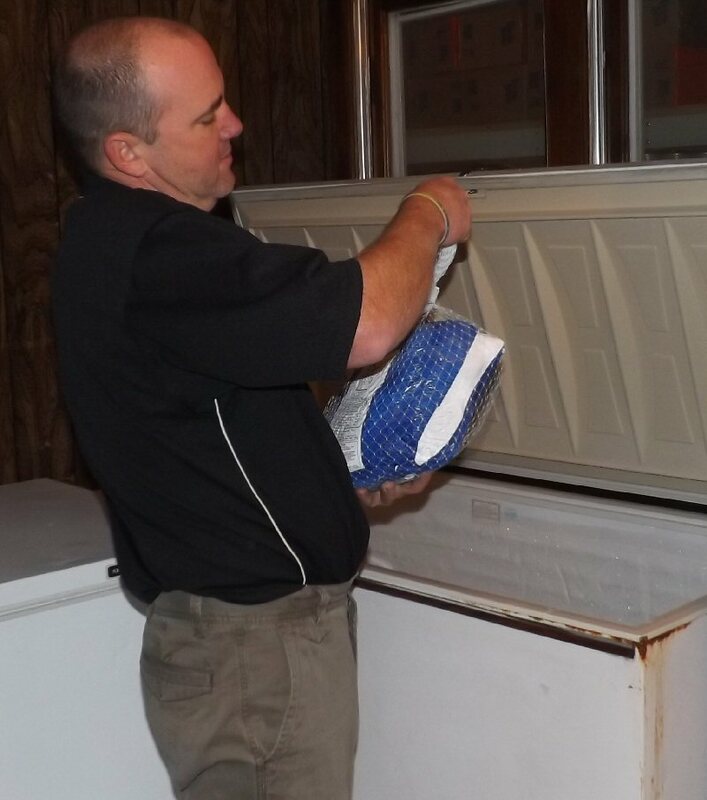 A firefighter takes a turkey out of the freezer to place in another food basket. Besides the firefighters, there were several other groups who helped to make the program a success, according to Judi Knopp, food director at Human Concerns. Demand on the food pantry, however, has increased 25 percent over last year, she added. Depending on the size of the family, the size (and weight) of the food basket may vary, Knopp pointed out. “That’s why we appreciate the firemen’s help to carry the boxes out to their vehicle,” she said. Knopp said she’d like to thank everyone who donated to ensure people would have a traditional Thanksgiving meal.